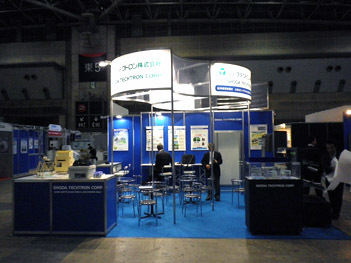 FPD International 2012 is held in PACIFICO YOKOHAMA from Oct. 31st through Nov. 2nd. 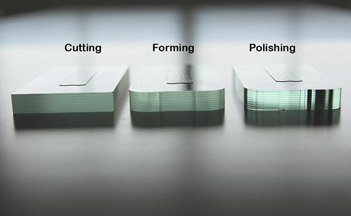 We will have live break test demonstration of edge polished glass, and present system of working for cover glass OGS, smart phone and tablet PC. It is highly appreciated if you could pay a visit to our booth 3206. We are looking forward to seeing you in Yokohama. 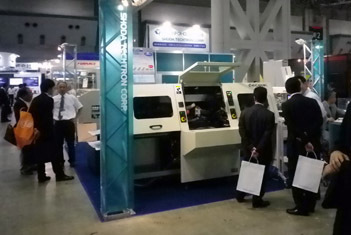 ■ On June 2011, we have exhibited the latest Print Circuit Board Processing machines at JPCA show in Tokyo Big Site. 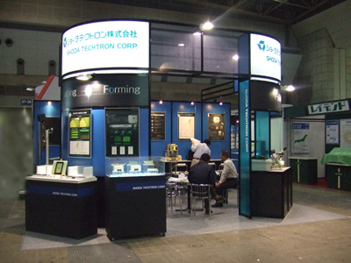 ■ On June 2010, we have exhibited the latest Print Circuit Board Processing machines at JPCA show in Tokyo Big Site. ■ JPCA show at Tokyo Big Sight(Tokyo International Exhibition Center)from June 02 through	June 04 in 3 days has been held. 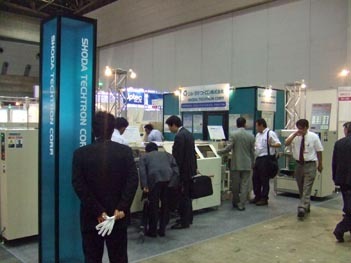 We have exhibited Auto X-Y V scoring system , Pin type	V-scoring machine and Aluminum cutting machine with CCD camera. 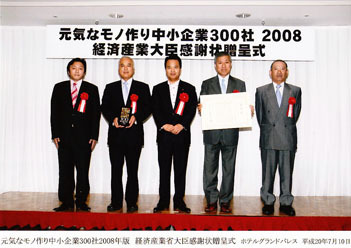 ■ On July .2008, we are awarded by Mr.Amari, the Minister of Economy Trade and Industry,Japan	for the honor of best manufacturer of Japan. 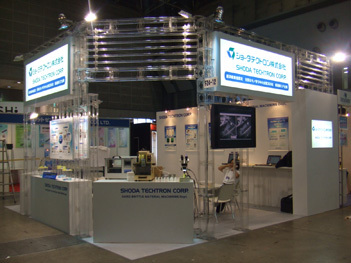 Copyright(c) SHODA TECHTRON CORP. All Rights Reserved.